Far-right populist parties have gained in polls and took power in a number of European states. The drivers of this success are deeply rooted in people’s sociological and psychological perceptions. Their proposed method to deal with the risk of terrorist attacks could come at a steep price, as traditional efforts have been replaced by an overemphasis on immigration control and foreign policy realignment. After a terrorist attack occurs, political parties scramble to gain political capital. This is nowhere truer than in Germany, as each party waits with bated breath the release of information on the attacker and their victims. One need only watch the Twitter feed of the AfD (Alternativ für Deutschland, the far-right populist party of Germany) to see how quickly they react to the earliest details of an attack. Indeed, AfD parliamentary leader Alice Weidel tweeted, “Outlaw violent immigrants immediately,” right after a knife attack in Lübeck (perpetrated by a German citizen of Iranian background). Interestingly, as has been common in Germany, the parties opposing the AfD avoided the topic in public statements, leaving adequate breathing room for populists to sweep in and take the lead in messaging. Taking the lead has certainly propelled these parties to national success, particularly as far-right messaging couple fears of terrorism with widespread unease about increased levels of refugees and immigrants from the Middle East and Africa. What is particularly interesting is how they have fundamentally changed approaches to counterterrorism in European states, and how little it reflects what scholars and practitioners alike call counterterrorism. There is little discussion on the right combination of foreign and domestic policies, the balance between privacy and security, or the role of the military in countering terrorist attacks. For parties like Lega Nord (Italy), Alternative for Germany and the National Rally (France), counterterrorism comes down solely to immigration control. Such a narrow view is what should concern those who have legitimate concerns about securing the lives of citizens. Ulrich Beck has perhaps been the foremost scholar on the dynamics of what a “risk society” is. Beck writes that the world in which we now live is increasingly governed by judging risk, rather than threat. A threat is characterized by knowing the details of an impending attack. For example, a video posted online by an individual naming targets is a threat. A risk, however, is the possibility of an attack at any time, without knowing any details of a specific event. Car accidents are a useful metaphor. It is always a risk to drive on a busy highway, but nearly impossible to know precisely when a person might be involved in an accident. Seeing a semi-truck going the wrong way down a highway is a threat, semi-trucks existing on the road at all is a risk. Risk entails a sense of maintaining control of the future by enacting policies that preempt possibilities that may never actually occur (and are also statistically unlikely). Beck says that by building policies based off of perceived risk, societies “feign control over the uncontrollable,” which inspires a sense of distrust among a general population regarding the state effectively managing security risks. Importantly, the growth of transnational terror networks has compounded this distrust, as the risks are no longer spatially or temporally bound. The most immediate takeaway from research on risk societies for the study of populism is that the foreign and domestic become increasingly one and the same, with states and their citizens struggling to reconcile that reality. This is perhaps even more obvious when it comes to the intertwining of immigration and terrorism. As risks have become increasingly transnational, the free movement of people across borders who are considered “different” are easily portrayed as posing a risk. A first point to acknowledge is that terrorist attacks are a real risk in Europe. Previously taking the form of large-scale bombings such as in Madrid or London, tactics have become much less sophisticated, particularly with the growth of homegrown Islamic State cells in European states. Fears of a terrorist attack are real, and unfortunately, have become tied not only to higher levels of immigration, but also to the identification as a Muslim in general. There are few studies on the effects of risks of terrorism in Europe, however the case of Israel and the fear of rocket attacks provides an illustrative example of how risk affects voter behavior. Getmansky and Zeitoff have empirically shown that increased support for more right-wing parties in Israel can be correlated with the exposure to the risk of a rocket attack. What buttresses this position is an argument from sociologist Ramon Maiz. Maiz’s study on ethnic mobilization states that politicians require preconditions, a political opportunity structure, and efficient mobilization through discursive strategies and organizational efforts in order to “activate” their followers. It is clear that an attack acts as a “precondition,” something that people can be mobilized around. After the precondition was set, the general political space of Europe (such as perceptions on governments’ failed immigration and integration policies) usually provides an opportunity for right-wing parties to capitalize on. Finally, as exemplified above in the tweet from the AfD leadership, an adequate discursive strategy can easily be built around the preconditions to fill the opportunity structure. Psychology also supports the argument that attacks affect voter behavior. Social psychologists have studied for some time how anxiety regarding the possibility of a terrorist attack can change personal behavior. Maguen, Papa, and Litz provide a useful review of this occurrence, highlighting disruptions in everyday life. Individuals begin to change routines to maintain at least the sense of control in a true risk society fashion. These include avoiding metropolitan areas and public transportation. These fears of risk are importantly tied to perceptions about Islamist terror. In an article in the Journal of Risk Research, scholars show how among American and French airline passengers, the word “Muslim” was one of the most commonly occurring words in interviews surrounding perceived risks in air travel. In addition, other research have shown that this psychological distress and linkage to Islamism has a causal effect on voter behavior. Once again, a study conducted in Israel found that among Israelis of various political backgrounds, hostile feelings towards Palestinians due to a fear of attack affected their support for the right-leaning Likud party that has tightened restrictions on Muslim members of Israeli society. Terrorism and anti-immigrant populism are inextricably linked. Right-wing populist parties rely on fears of jihadi attacks to build a narrative as the “true defenders of the people.” Not surprisingly, these parties exclude from consideration non-jihadi attacks. In February 2018, self-avowed fascist Luca Traini, a former candidate of the Italian far-right Lega Nord, drove through Talentino shooting at migrants. Six were left injured in the attack and Traini was arrested. 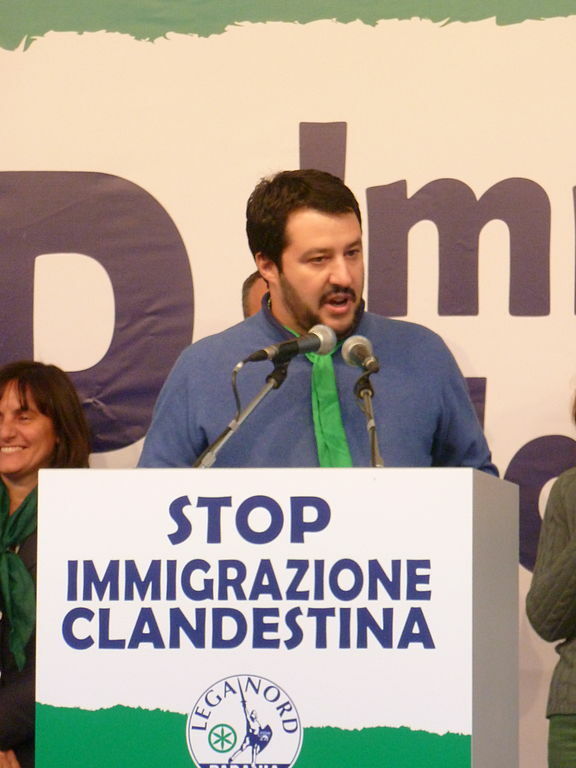 Lega Nord leader Matteo Salvini did not join the outcry against the attack however, instead taking an equivocating tone in his statement: “It is clear and obvious that out of control immigration, an invasion like the one organized, promoted and financed in recent years, leads to social conflict.” It is the constant instrumentalization of attacks where the perpetrator is Muslim that gives right-wing populists their distinctiveness. This should be highly worrying for those concerned with counterterrorism policy. What is striking in observing many far-right populist parties is how responding to terrorism is uncoupled from policymaking in national security structures (ministries of defense and foreign affairs) and moved into the sphere of immigration. Viktor Orban’s government in Hungary has been particularly forceful in efforts to secure the connection in the public’s mind. In a heavily biased survey distributed by the government in 2015, entitled as the National Consultation on Immigration and Terrorism, citizens were asked leading questions such as, “There are some who think that mismanagement of the immigration question by Brussels may have something to do with increased terrorism. Do you agree with this view?” Orban is hardly an isolated case. Perhaps the most brazenly Islamophobic party in Europe is the Dutch Party for Freedom (Partij voor de Vrijheid or PVV), led by Geert Wilders. Wilders, a common face among far-right circles in both Europe and the United States, used the auspices of his party to produce a 17-minute film titled Fitna, which argues that Islam is an inherently violent religion that actively encourages acts of terrorism and anti-semitism. Debates surrounding counterterrorism and the role of religion in Dutch society grew particularly heated following the murder of film director Theo van Gogh after the release of a film similar in style to the later Fitna. Wilders seeks in his platform to close every mosque in the Netherlands, ban the Quran, and enact a full-scale stop on the entry of all immigrants from majority Muslim states. Most far-right parties aspire to go beyond simply “closing the border.” Many leaders of groups seem to encourage violence and policies that would amount to ethnic cleansing. In Italy, Interior Minister Salvini expressed in an interview with the Independent, a desire to conduct a “mass cleansing, street by street, piazza by piazza,” and also pushed for the expulsion of all non-Italian Roma in the country. While extreme in rhetoric, these types of sentiments run rife in far-right circles, occasionally with consequences outside of the political sphere. In August 2018, following a murder that allegedly involved suspects of Iraqi and Syrian origin, far-right groups took to the streets of Chemnitz, Germany, and began “hunting” those who were perceived to be of non-German origin. Rioters displayed fascist symbols and performed the Hitler salute, the scale of the crowd overwhelming police forces. While the AfD party denounced the intimidation conveyed by these groups, it qualified its statements by writing that they “understand the people’s motivations.” Furthermore, an AfD member of the Bundestag (Germany’s lower house) tweeted the following: “When the state can no longer protect the people, the people go into the streets and do it themselves. Today it is the civic duty to stop ‘knife migration.’ It could have been your father, son, or brother!” Strongly condemned by mainstream commentators as incitement towards violence (an explicitly illegal act under the German constitution), the message resonates with the language used by Orban, Salvini and Wilders. What is so striking with these parties is a lack of any other policies surrounding countering terrorist attacks. Solving terrorism is solving the “immigrant problem.” This narrow-minded approach to policy stands in stark contrast to a more established counterterrorism policy that emphasizes building societal resilience, promoting inclusivity and developing a foreign policy of engaging with partner states to improve intelligence sharing. By ignoring these fundamentals of counterterrorism these parties which now hold sway in many European states run the risk of deepening the societal cleavages from which radicalization and violence grows. By equivocating immigration and terrorism, far-right populist parties create serious problems for their respective countries. Partnerships with foreign governments suffer, at-risk individuals are pushed towards radicalization, and they give fodder to jihadist recruiters looking for those disaffected with their home countries. In sum, this highlights these populist parties’ role in undermining the European liberal democratic order. The first problem, foreign partnerships, was particularly highlighted in early 2017 during the enactment of an executive order in the United States that became known as the “Muslim ban.” This event bears reflection in the European context as many European populist parties have proposed the same type of measures that would likely garner similar risks. 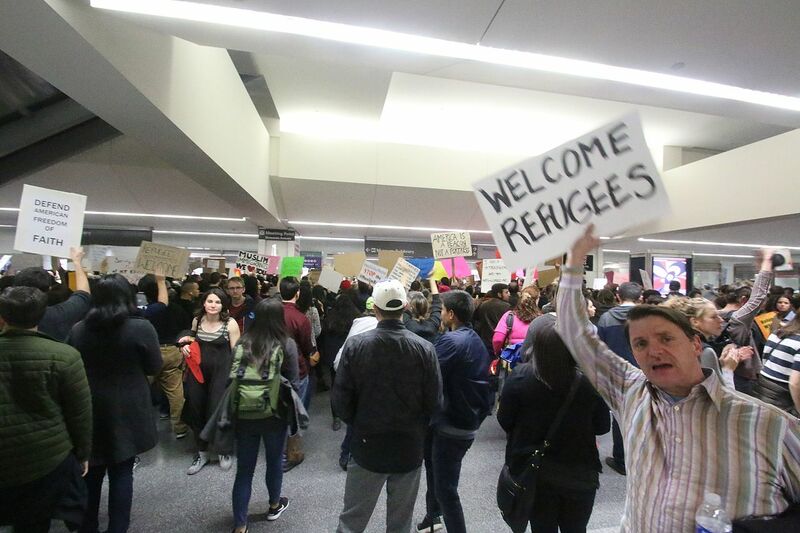 Numerous experts on counterterrorism weighed in in response to the ban on entry from Syria, Iraq, Iran, Libya, Somalia, Sudan and Yemen. Daniel Benjamin, a former official in the Obama administration, noted that by targeting individuals from these states, the administration was undermining its own efforts to build cooperative initiatives with these countries to tackle transnational terrorism at its source. Benjamin also warned that this move “feeds into the jihadi narrative” by promoting a sense of isolation and exclusion for those within Muslim communities. The latter comments lead to a more serious danger: the role that strict anti-immigrant/anti-Islamic policies play in increasing the risk of homegrown terrorism. As repeatedly reported by Europol, jihadi attacks in Europe are primarily perpetrated by those born and raised in European countries. There are as many drivers for joining a group or carrying out an isolated attack as there are recruits, but far-right immigration policies in the name of counterterrorism exacerbate the most common ones. A Royal United Services Institute study has argued that where inequality and institutionalized discrimination coincide with religious or ethnic divides there is an increased risk of radicalization. By singling out and targeting “non-natives,” far-right populist parties generate grievances against the state and society, and also provide ample recruitment material for those who look to capitalize on feelings of disaffectedness. Perhaps most perniciously, some parties have looked towards Russia as a potential partner in counterterrorism operations. Both the Five-Star Movement and Lega Nord that make up the Italian governing coalition have done so, with a top official referring to Russia as “Europe’s natural partner.” Russia, however, is a deeply unreliable partner in this policy sphere (among others). Anna Borshchevskaya has written on Russia’s counterterrorism record, and shows that it is hardly something that the European bloc should be associated with. Russia’s heavy-handed tactics in the Caucasus that proved a driver for jihadist recruitment have been replicated in Syria, with increased intensity. Furthermore, there is evidence that Russia is also directly working with both Hezbollah in Syria and the Taliban in Afghanistan. These parties would allow Russia to play a double-game of posing as a reliable partner on counterterrorism (for the purposes of undermining Western unity in Ukraine), while also funding and aiding the very groups they claim to be partnering against. There are serious practical dangers to effective counterterrorism efforts from the growth of far-right populist parties. While all governments struggle to enact effective security policies, the self-defeating policies of the parties currently in power in Italy, Austria and Hungary (and in many other states where they hold parliamentary seats such as Germany and the Netherlands) risk not only ignoring real counterterrorism priorities but also exacerbating radicalization and turning risks into threats. 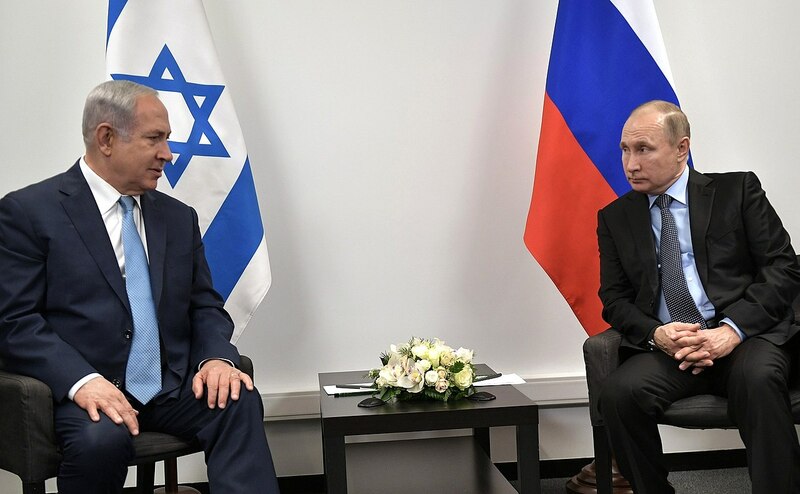 This is only worsened by proposed realignments of foreign policy that would lead to a “deal with the devil” with Russia that would simultaneously strengthen militant groups abroad and undermine Western cohesion in other areas. Dangers are only increasing as well, as mainstreams parties and governments have begun to co-opt far-right policy options in vote gaining exercises. The most recent example is German interior minister Horst Seehofer taking a much harder line on immigration in order to outmaneuver the AfD prior to state elections in October 2018. Trends in Europe continue to bend towards a continued rise of populist party power, particularly in Germany and Sweden. It would be counterproductive to speculate on scenarios for the future of counterterrorism, but by tapping into deep rooted sociological and psychological changes in voting groups, far-right populist parties have been able to use the fear of terrorism to push an anti-immigration and anti-Islam agenda that threatens to only worsen the security of Europe.